Cazena, a startup founded by former Netezza execs, is aiming to help enterprises solve the big data engineering challenge with a managed service platform that addresses the security and complexity challenges that have kept many enterprises from the cloud. For many enterprises, big data is hard and slow. Procurement and deployment of data infrastructure can be both expensive and difficult to scale at the pace that data volumes can grow. A startup founded by former Netezza executives says that the answer to these data engineering woes is the cloud. The startup, Cazena, came out of stealth today after two years of development with an enterprise big data-as-a-service offering intended to simplify and automate securely moving and optimizing big data processing in the cloud. It's a managed service platform that founder and CEO Prat Moghe — who served as senior vice president of strategy, products and marketing at Netezza — says addresses the security and complexity challenges that have kept many enterprises from migrating their big data workloads to the cloud. The offering is now in beta with leading enterprises across several verticals. The company, which just raised $20 million in Series B funding led by Formation 8, with participation from previous investors Andreessen Horowitz and North Bridge Venture Partners, is offering three services at launch — data lake-as-a-service, data mart-as-a-service and sandbox-as-a-service — each of which can be deployed in three clicks, Moghe says. "Cloud is the next frontier for big data processing, yet complexity and security concerns hold most large enterprises back," Moghe says. "Cazena's big data-as-a-service is the first managed cloud service for big data processing that securely and seamlessly extends the enterprise data center with trusted cloud infrastructure and multiple, best-of-breed big data technologies. This assures the best prices and performance for any big data workload, so enterprises can focus their efforts on delivering value, not managing technology." Workload Intelligence. It provisions, optimizes and continually manages cloud infrastructure and best-of-breed technologies (Hadoop, MPP SQL, Spark, etc.) to guarantee workload SLAs. End-to-end automation. 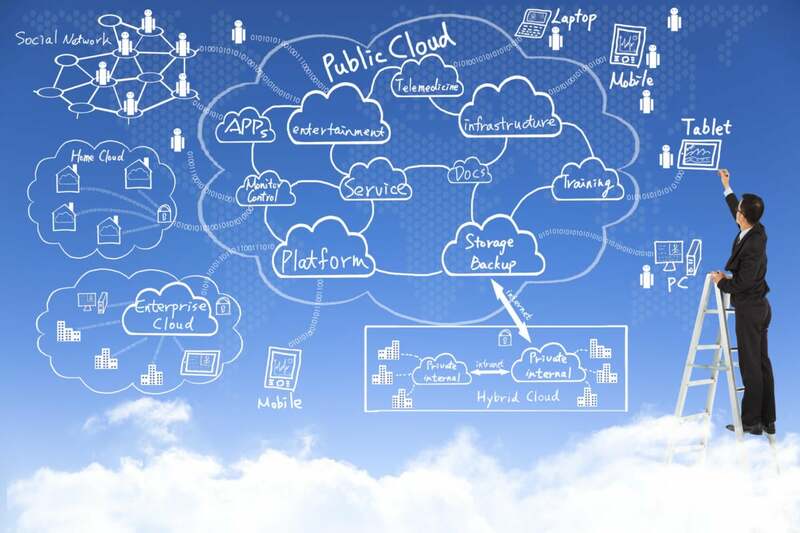 It moves data efficiently and runs analytic workloads in the cloud, with connectors for enterprise tools and data sources. Security and Privacy. It integrates an encrypted data cloud into the enterprise using strong security, governance and compliance controls. The data lake-as-a-service allows you to stage and query raw data like log files or streaming data, or to cost-efficiently archive historical data. The data mart-as-a-service is for augmenting existing data warehouses by offloading users or workloads to the cloud "at 1/5th the cost of traditional systems." The sandbox-as-a-service supports self-service data science to explore new ideas and hypotheses. The platform deploys modular "workload engines" for each technology — including Hadoop (Cloudera or Hortonworks), MPP SQL (AWS Redshift) and Spark — while workload intelligence automatically provisions and continually manages the optimal workload engine (and cloud infrastructure) for each workload to guarantee SLAs at the best price-performance level. Moghe notes that Cazena continually benchmarks and adds new data processing technologies to the platform so customers can take advantage of recent innovations without having to constantly stay on top of open source projects themselves. To secure everything, Cazena extends the enterprise data center to its cloud through an encrypted tunnel, created by a secure gateway that runs on the enterprise network and encrypts all data and traffic. Cazena's data cloud is encrypted and single tenant, and it only accepts authenticated connections from the enterprise's secure gateway. The service extends enterprise security and data governance policies to the cloud. In many ways, Cazena is a reunion of the Netezza team. In addition to Moghe, its board includes Jit Saxena, former chairman of Netezza, and Jim Baum, former CEO at Netezza. The team is rounded out by Peter Levine, general partner at Andreessen Horowitz; Steve Papa, founder and CEO of Endeca and board partner at Andreessen Horowitz; and Ed Anderson, founder and managing general partner at North Bridge Venture Partners. "Cazena has assembled an all-star board and management team with decades of experience at Netezza, Endeca, Datastax, Unica and other market leaders," says Shirish Sathaye, general partner at Formation 8. "They bring a unique perspective to enterprise needs and challenges. Just as Netezza previously created a new category of data warehouse appliances, this team now has the opportunity to lead a new category around big data-as-a-service. We are really excited to join forces with them in this journey."